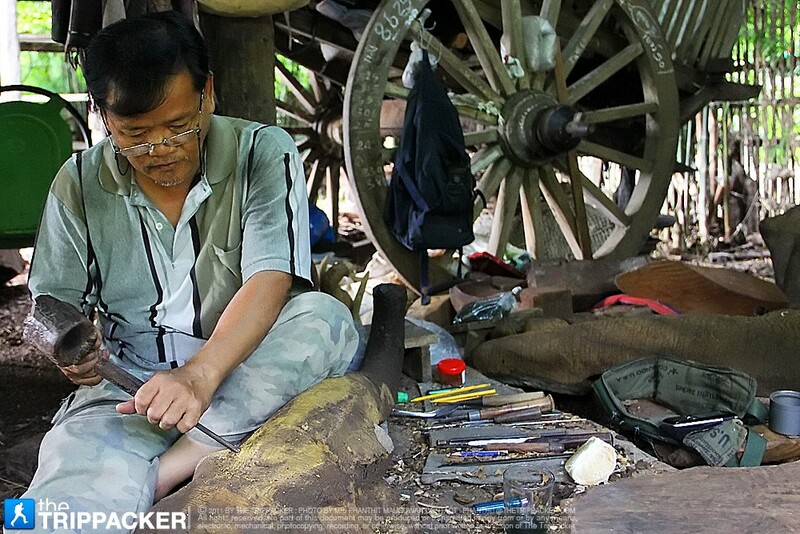 The Northern province on Chiang Mai is very well known for its arts and crafts that it has been dubbed the ‘Capital of Handicrafts’. Travel out to San Kamphaeng District to the various villages, and you’ll get to see works such as colorful Sa paper umbrellas, fine silk and fabrics, gems and jewelry, woodcarvings, and so much more. Today’s focus is on woodcarvings. Typically, the first village that comes to mind for Thais is Baan Tawai, however, we’ll take you to the lesser-known Baan Buakkang instead. 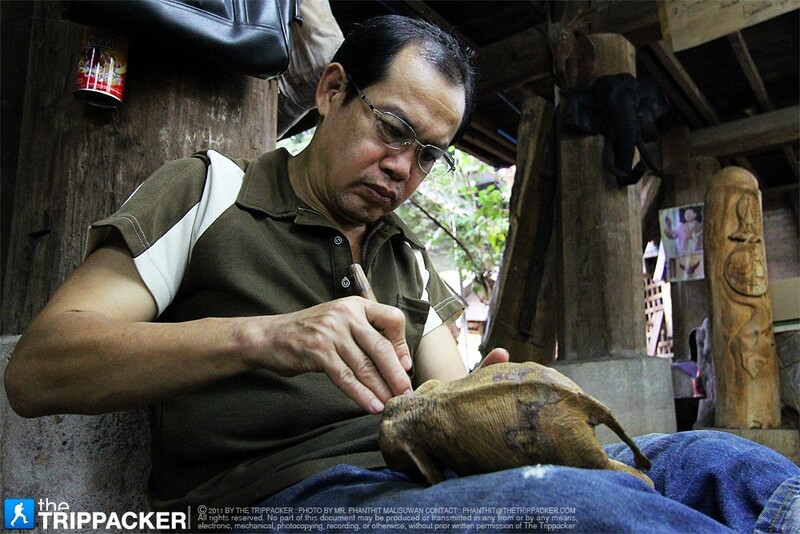 What makes this village different from others is their trademark style of woodcarving that follows traditional Lanna methods. 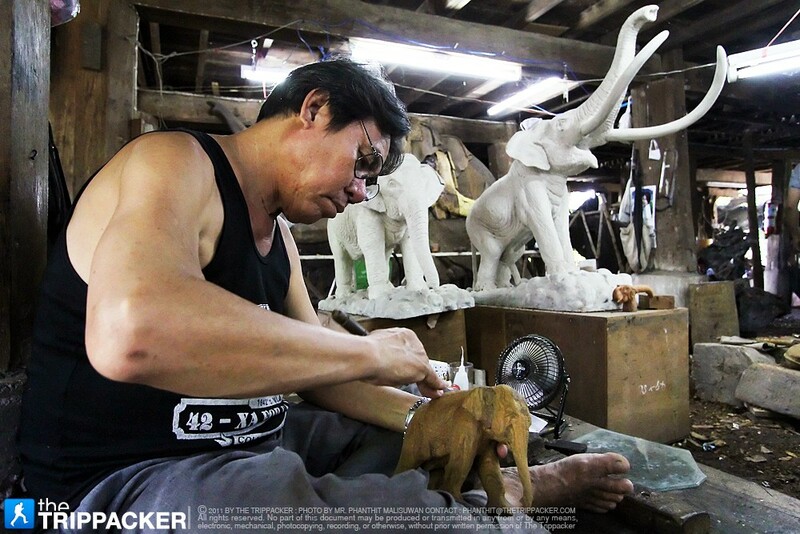 The master sculptor, Phet Wiriya, has amassed quite a few apprentices over the years. 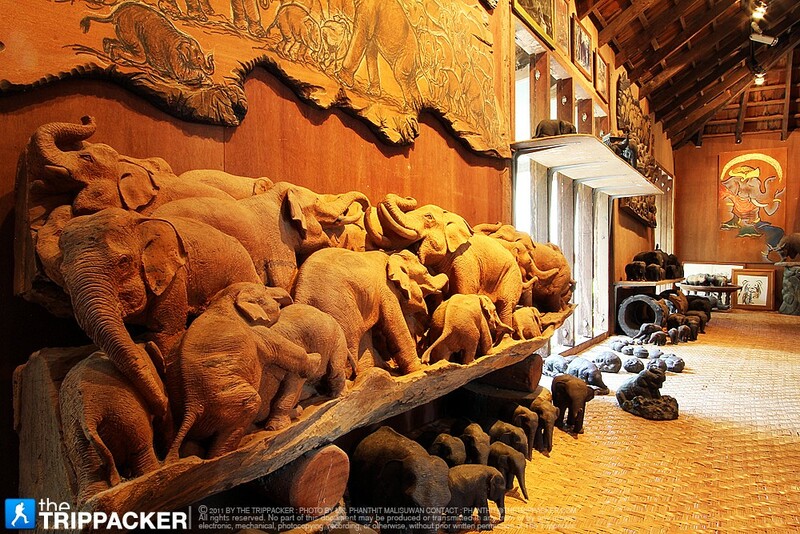 His works center on elephants, and can be found at ‘Baan Jang Nak Museum’ (meaning ‘house of elephants’). Unlike most sculptors, Phet Wiriya did a lot of experimentation. 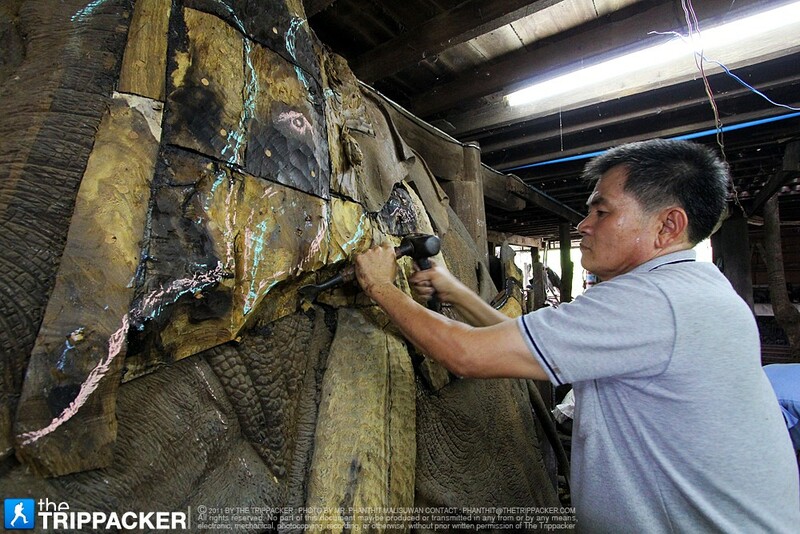 He tried out various materials for carving to reduce teak wood usage, and strayed from conventional ‘standing’ elephant poses in his works. 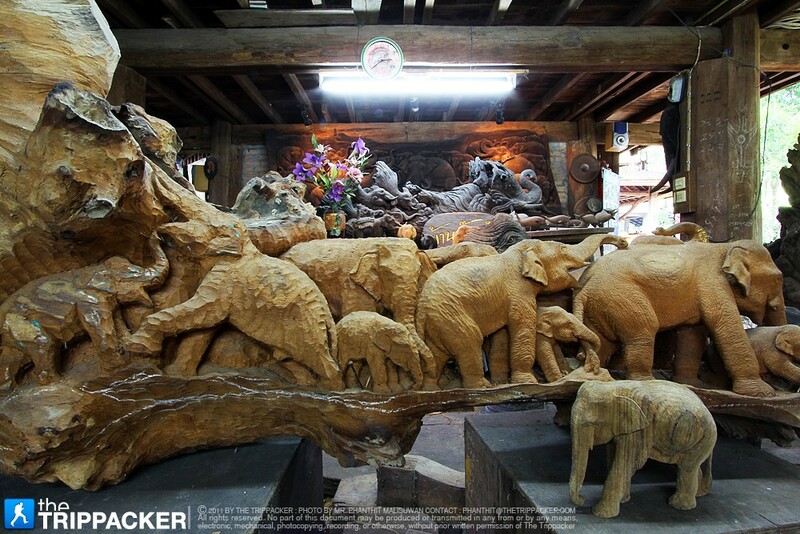 As a result, his (and his fellow students) creations are made of Cassia wood instead of teak. 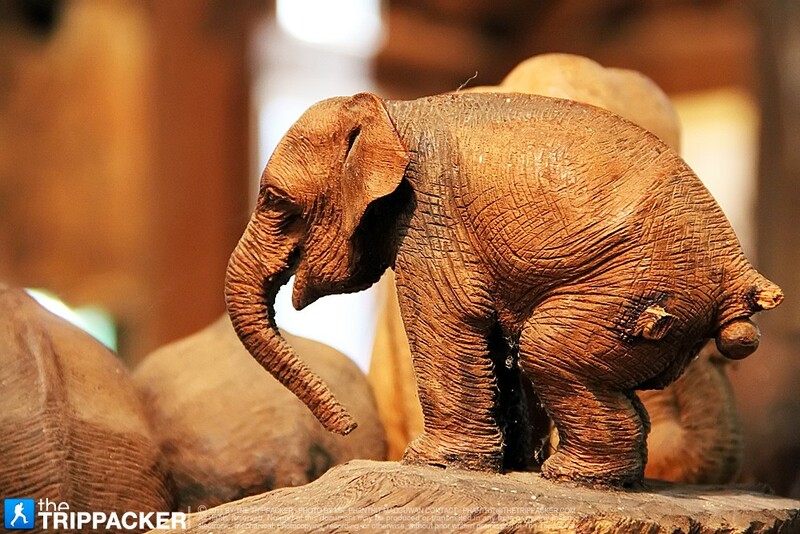 In addition, you will see elephants in different postures. 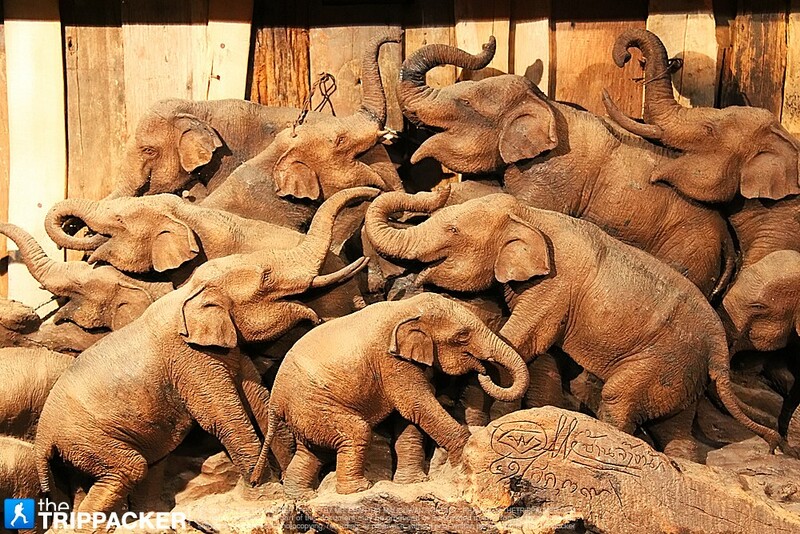 The reason for it is because he wanted his pieces to be works of art that look as realistic as possible as well as reflect the true nature of elephants. 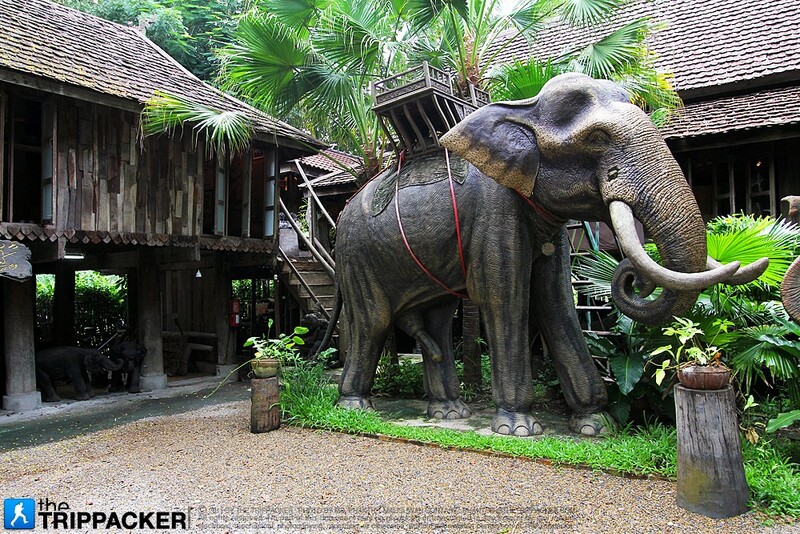 Once at Baan Jang Nak Museum, the first thing you will see is a life-size wood carved elephant at the entrance. Continue inside and you will see the carvers at work on the first floor. Take a look at the process of drawing, carving, and painting each piece here. Then, make your way to the upper floor to view the various works produced by Phet and his students. 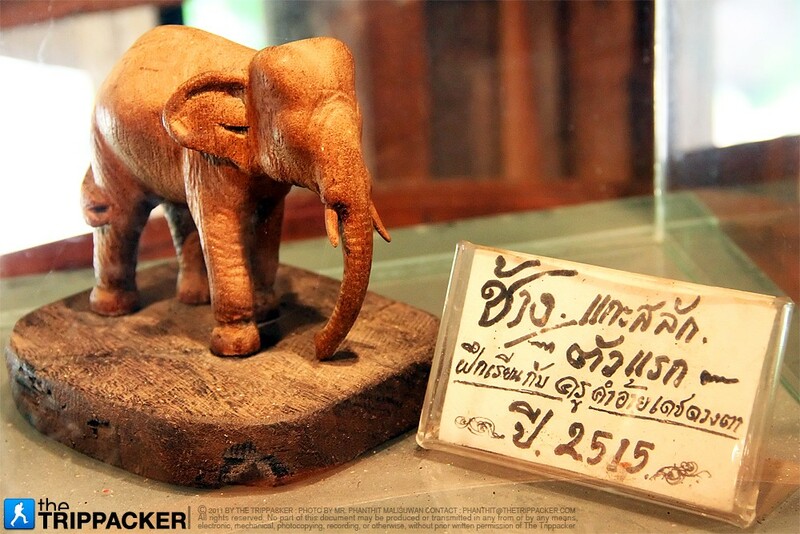 You can buy their works here at the museum or at ‘Ran Jang’ (Elephant Shop) on Soi 1 Nimman Haeminda road. 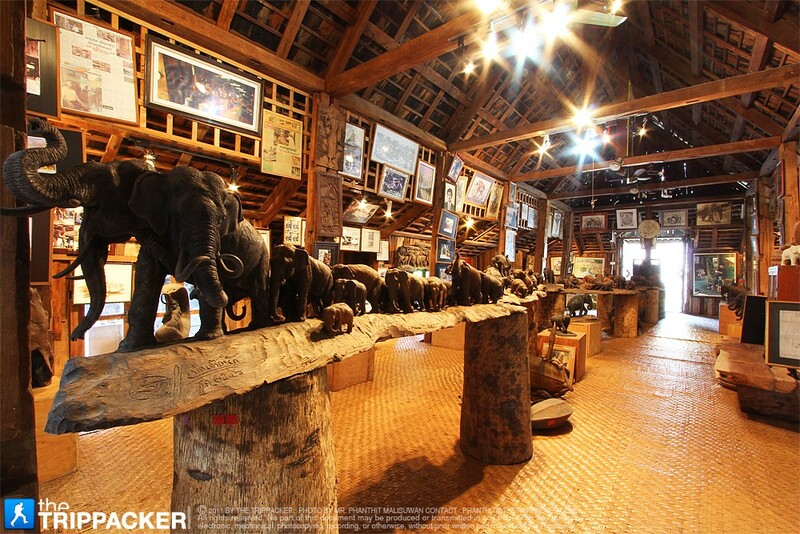 If you are a fan of elephants and would like to know more about them as well as hear stories about them, visit Baan Jang Nak Museum. The sculptors and Phet himself will be more than happy to share their knowledge about these enormous land mammals. 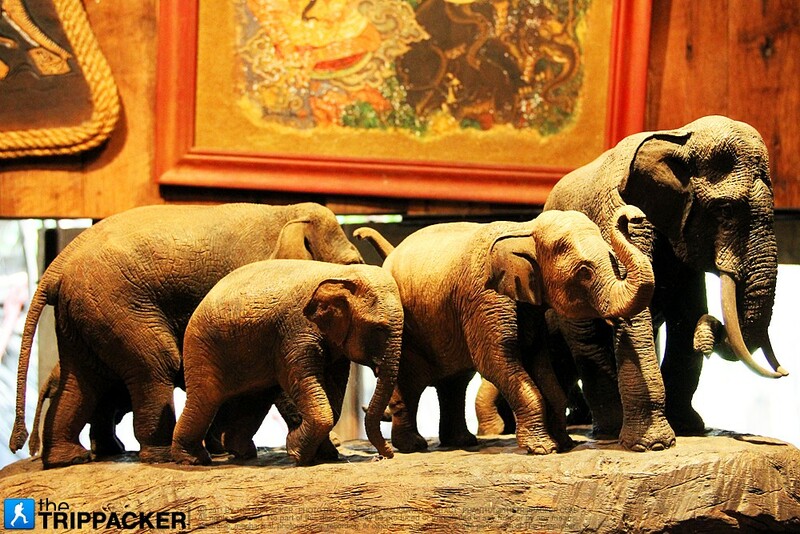 A portion of profits goes towards helping and conserving Thai elephants too. 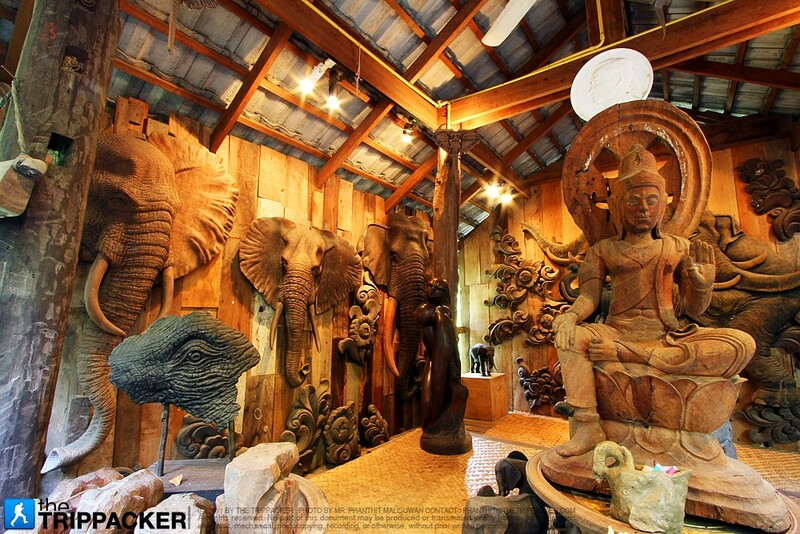 Baan Jang Nak Museum showcases woodcarving works from many sculptors. 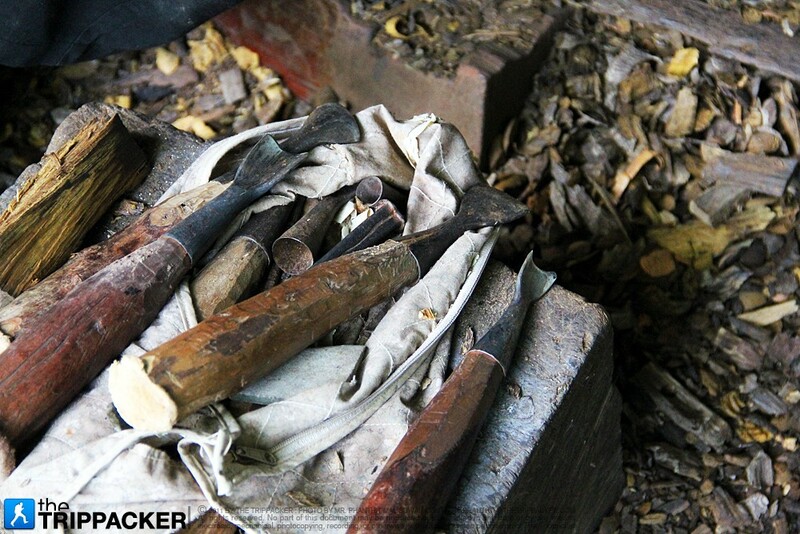 These works incorporate the use of the traditional Lanna method over conventional ones. 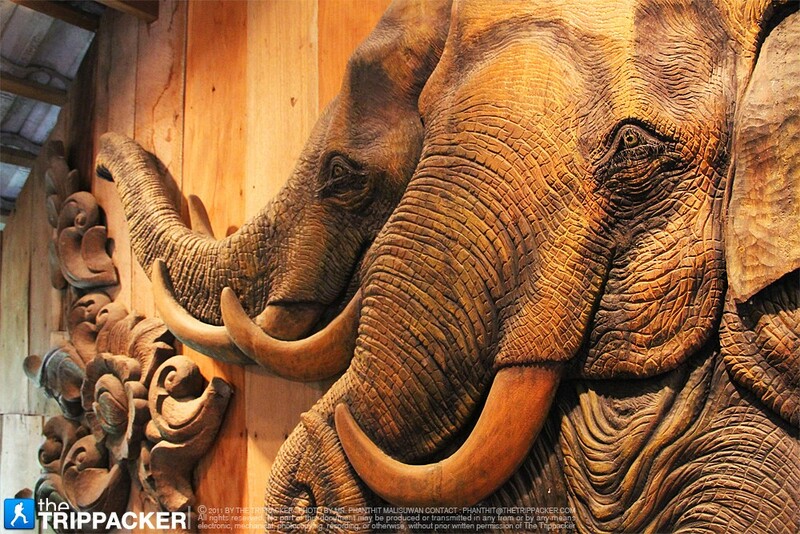 Their elephant pieces are much more creative and realistic than others you might find. The village of Baan Buakkang is small and hard to find. A small sign in front of a soi is all there is to indicant the way so be vigilant. The road leading to the village is also small so drive with caution. 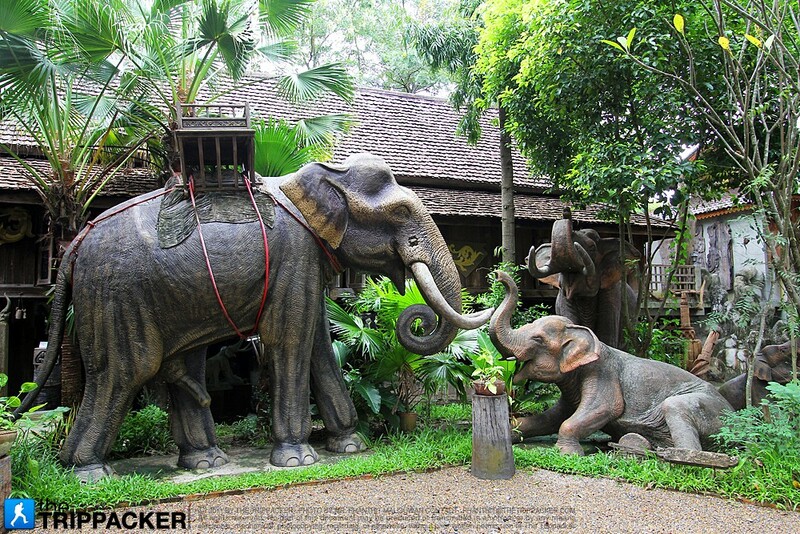 If you are a fan of elephants and would like to know more about them as well as hear stories about them, visit Baan Jang Nak Museum. 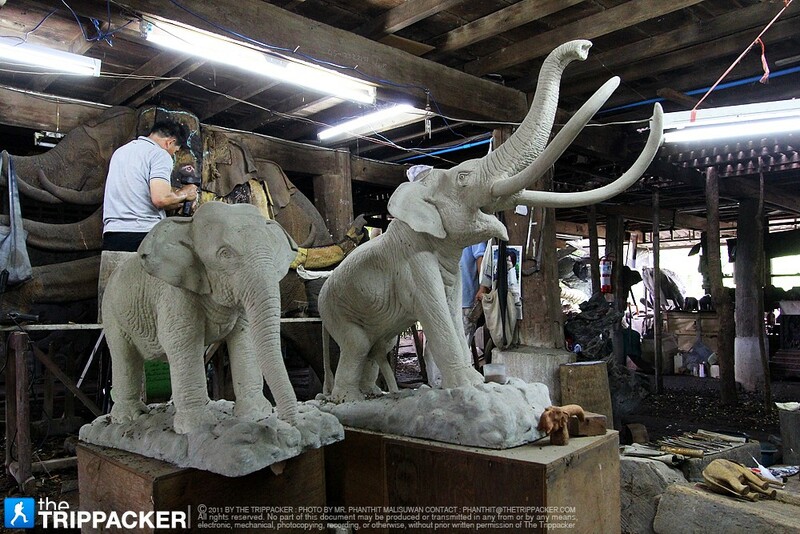 The sculptors and Phet himself will be more than happy to share their knowledge about these enormous land mammals. From town, drive out to San Kamphaeng District on Chiang Mai-San Kamphaneg road. Continue past the market, the local school, and then cross Mae On bridge. Turn right at Wat Chae Chang and keep going until you reach Wat Buakkang. The museum is near Wat Buakkang. 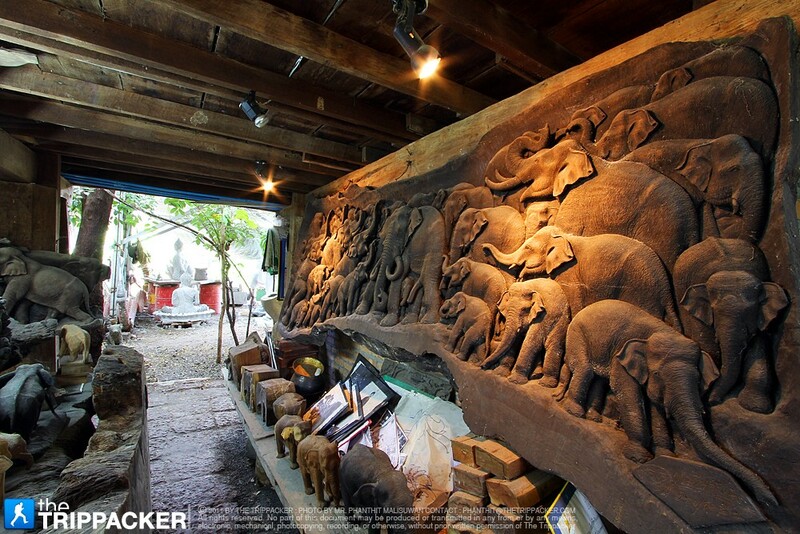 Alternatively, you can also get to the museum via San Kamphaeng-Nam Phu Ron road.